We have added a very-interesting MTF chart comparison to the Canon EF 85mm f/1.4L IS USM Lens page (scroll down to the image quality section). These charts give us some indication as to how the new 85 f/1.4L IS lens' image quality stacks up to several other lenses, including the Canon EF 85mm f/1.2L II USM Lens, Canon EF 85mm f/1.8 USM Lens, Sigma 85mm f/1.4 Art Lens and more. Update: Please note that I have corrected a mistake in the Sigma chart interpretation. The demand for this Canon lens is very high - preorder early to be assured of the earliest acquisition (perhaps it could be an early Christmas present to yourself)! 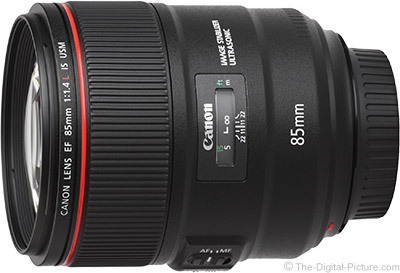 The Canon EF 85mm f/1.4L IS USM Lens is available for preorder at B&H | Amazon | Adorama | WEX. With a retail price of 1,119 GBP (1,299 EUR), the Mavic Pro Platinum will begin shipping in September. The Mavic Pro Fly More Combo will be available at a later date with a retail price of 1,459 GBP (1,599 EUR). Phantom 4 Pro Obsidian will retail for 1,589 GBP (1,699 EUR) and will be available in September at authorized dealers worldwide. Aside from the Rebel T6, all of Canon DSLRs currently produced feature Multi-Shot Noise Reduction (MSNR). With the feature enabled, your camera takes a burst of 4 images which are combined and output to a JPEG file with less visible noise compared to a single exposure. Multi Shot Noise Reduction (MSNR) is one of the additional in-camera options available in many of the latest EOS models including the 5D IV. MSNR merges information from multiple (four) exposures taken in a full-frame-rate burst into a reduced noise image. The concept makes a lot of sense. MSNR generally provides a remarkable one stop or more of noise reduction, but ... I still have not found a compelling use for this feature. The downsides to Multi Shot Noise Reduction include: MSNR is currently available only with JPG output (I would like to see this feature added to Canon's Digital Photo Pro software for RAW capture processing – perhaps as another HDR preset). Multi-Shot Noise Reduction is not so useful with moving subjects (or with a moving camera). Long exposure NR, Dust Delete Data, Multiple Exposure and HDR Mode must be set to off to enable MSNR. The 5D IV reverts back to Standard NR in Auto/Basic zone modes, during video recording, in Bulb mode and when the camera is powered off. Flash is not supported in MSNR mode. 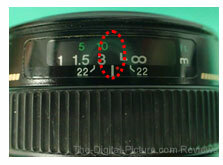 After the 4 shot burst is captured, the camera remains "busy" for a noticeable period of time while processing the merged image. So, while this feature is a nice idea, its limitations make it less useful in real-world applications. I am far more likely to use a low ISO setting with a longer exposure when shooting stationary subjects from a tripod. Fortunately, with several of Canon's upper-level DSLRS, there's a slightly better way to accomplish the same goal. It involves many of the same compromises as Multi Shot Noise Reduction, but instead of being limited to JPEG output, you can output a RAW file instead. The secret is to use your camera's Multiple Exposures feature and set the Multiple Exposure Control Method to "Average." By setting the desired number of shots to 9 (the max), noise in the combined image will be greatly reduced. 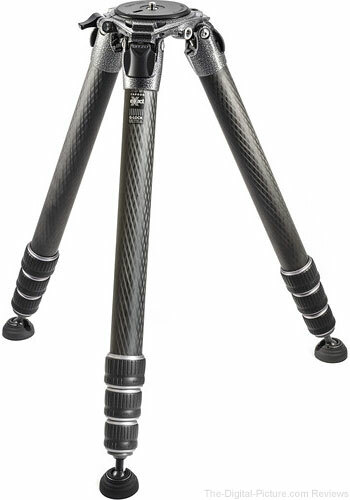 Tripod use is required, especially as there is no option to align the images in-camera. Any subject that moves during the 9-image capture duration will be blurred. You must first shoot a base image before selecting the Multiple Exposure options, as designating a base image is required. 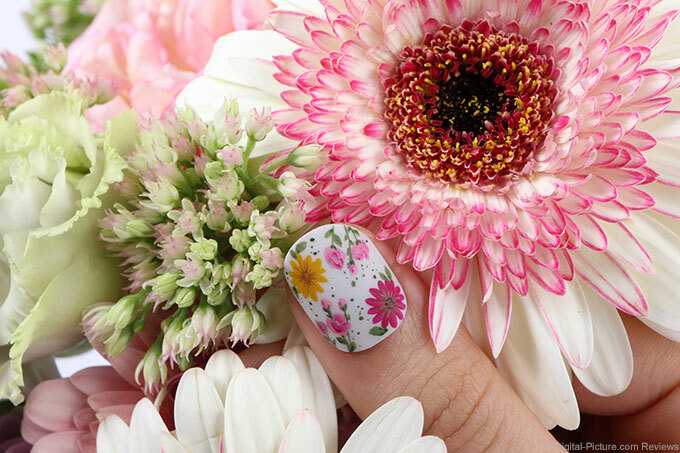 Therefore, there will be delay between the first image and the following 8 images. 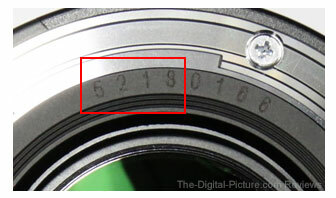 In-camera lens profile corrections are not supported. With the drawbacks listed above in mind, you may be wondering what situations would benefit from using the Noise Reduction through Multiple Exposure technique. Here are a few ideas I came up with. If photographing a lighted sign that lights up sequentially (as if being handwritten), and there is only a small portion of time when the sign is completely illuminated. If you were to use a longer shutter speed, the illumination of the sign may not be even. However, if you time your 9 shots when the sign is completely illuminated, you can avoid the uneven brightness. 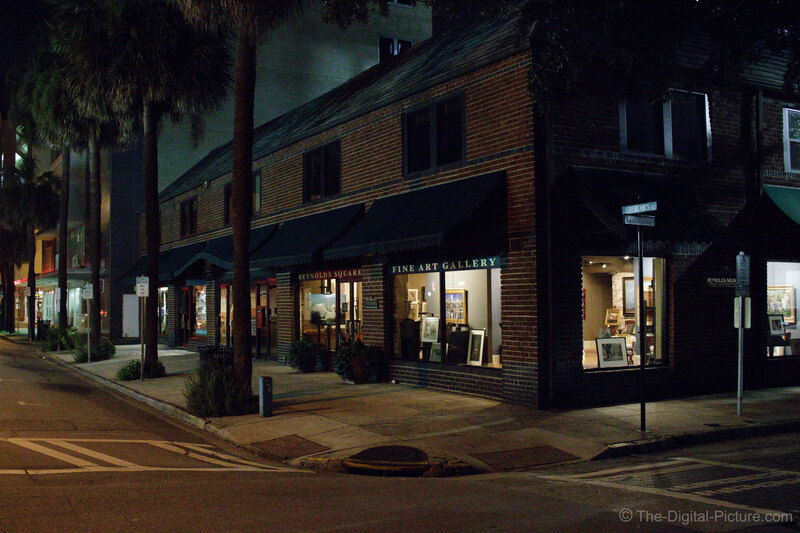 If photographing a moderately busy street scene, but you do not want pedestrians or traffic in the image. You can easily time your images so as not to include pedestrians or traffic in the final image. 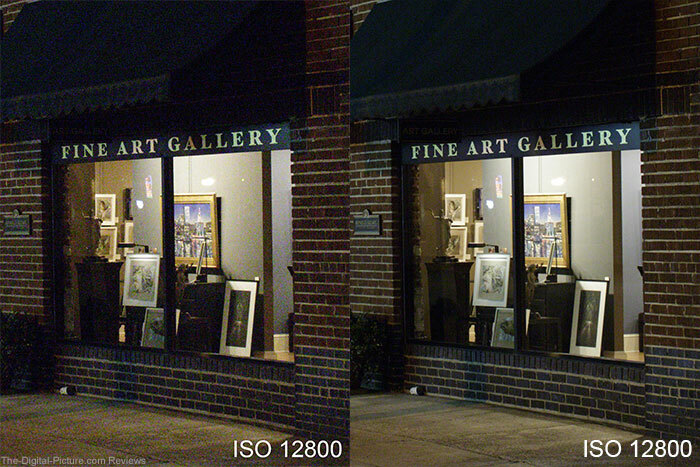 To get a better understanding of just how significant the noise in your RAW images can be reduced using this technique, download the full resolution 7D Mark II ISO 12800 single exposure and 7D Mark II ISO 12800 multiple exposure files and compare the noise for yourself. The RAW files were processed identically (except for white balance) in Adobe Camera RAW with no noise reduction applied before the JPEG conversion. Note that the sample images were not taken under circumstances where this technique would be especially beneficial, as a longer shutter speed could easily have been used (they are only used for noise reduction demonstration purposes). With Multiple Exposures set to Function and Control Priority (On:Func/Ctrl), the source files will be saved along with the final combined result. However, if using continuous shooting, the burst rate will be significantly reduced. With Multiple Exposures set to Continuous Shooting Priority (On:ContShtng), the source files will not be saved (only the final result) but continuous shooting will operate at a normal-for-the-circumstances rate. You can get similar results in post processing by combining separate exposures in Photoshop CC by using File/Scripts/Statistics and stacking your images using "Mean." While the technique may not be feasible under a wide variety of situations, the noise reduction benefits will certainly be worthwhile in the specific situations where this technique can be employed. Can you think of more situations where this technique might be useful and advantageous? Let us know in the comments. TOKYO -- Canon plans to have a new camera plant in Japan up and running by 2019 as it moves more production back home, relying on factory automation to lower the cost of domestic operations. The Japanese electronics maker will acquire 300,000 sq. meters of land for a digital camera factory in southern Japan's Miyazaki Prefecture as early as September. The plant will be Canon's first new camera factory in this country since 2010, and will feature labor-saving assembly lines of the sort Canon is installing across its Japanese facilities to make domestic production cost-competitive. Total costs are projected to be around 20 billion yen ($181 million). The facility will take over production of single-lens reflex cameras formerly manufactured at another Miyazaki plant. Canon will eventually consider bringing production of some compact digital cameras now made overseas back to Japan as well. The company produced 56% of its cameras and other offerings in this country in the year 2016, and plans to raise that figure to 60%. Read the entire article on the Nikkei Asian Review. Torrance, CA— August 15, 2017 - Pelican Products, Inc. (Pelican), the global leader in the design and manufacture of high-performance cases, today set another benchmark for the segment with the launch of three new deeper cases in the re-engineered, up to 40% lighter, Pelican Air Case line. Since 1976, the classic Pelican Protector Case has been the go-to protective case solution for millions of professionals and consumers worldwide. As a part of the innovative and lighter Pelican Air case line, the three new cases, 1557, 1607 and 1637, continue Pelican’s relentless quest to offer users more versatility, portability and durability. The entire Pelican Air case line, constructed of lightweight HPX2 resin, is available in nine travel-ready sizes, in both long and, now, deep options. With over 13” of depth available, the new cases provide room for fragile and valuable equipment, such as drones and cinema-grade cameras. Pelican Air cases continue to be the gold-standard of premium equipment protection while remaining 40% lighter and now 45% deeper. All Pelican Air cases are available in black, yellow, orange, and gray. The TrekPak Divider system (not available with 1607 or 1637), feature durable, waterproof, closed-cell foam laminated to corrugated panels to provide a fully customizable and precise protection grid without wasting space. The Classic Pick N’ Pluck Foam offers a manually customizable solution for fast and simple protection with pre-scored foam to fit almost any equipment. The Padded Divider configuration includes infinitely customizable, protective, padded dividers with Velcro so users can change their equipment organization scheme on a moment’s notice. The No Foam configuration allows a blank slate for custom interior solutions. “I couldn't wait to customize my Pelican Air case with the TrekPak system,” said Roy Pena, fire photographer, Bakersfield, CA. 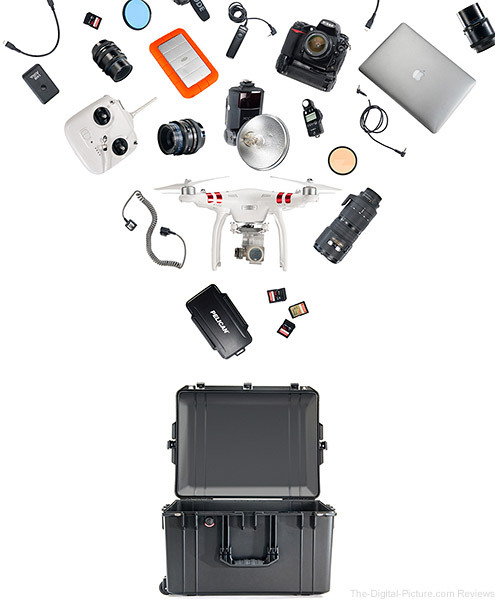 “I was able to fit all my camera gear in its own tailored compartment. When you're shooting action shots, like a fire in the heat of the moment, you have to rush in to get the shot. If you don't know exactly where the right gear is, you miss it". The new 1607 and 1637 cases have wheels, roll tested over 914 meters. The line’s newest products boast classic Pelican case features including a watertight O-ring gasket, a crushproof and dustproof exterior, stainless steel hasp protectors, rubberized, over-molded handles and proven tough double-throw latches. Each Pelican Air Case meets the same performance tests (impact, drop, submersion and high and low temperatures). Pelican Air cases are also backed by the company’s legendary lifetime guarantee of excellence. 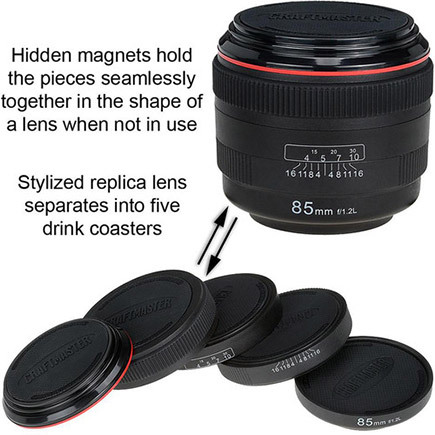 For those that want more than just a lens coffee cup, B&H now carries a set of coasters that stack to resemble an 85mm f/1.2L lens. Canon has released firmware updates for the EOS C300 Mark II and C100 Mark II Cinema cameras. See below for details. B&H carries the Canon EOS C300 Mark II and C100 Mark II Cinema cameras. I know, you are trying to decide if it was the 28 hour round trip drive or the celestial body alignment that warped my mind. But, with the solar disk (or a portion of it) imaged against a completely black background, the composite opportunities become endless and are limited only by your own creativity. 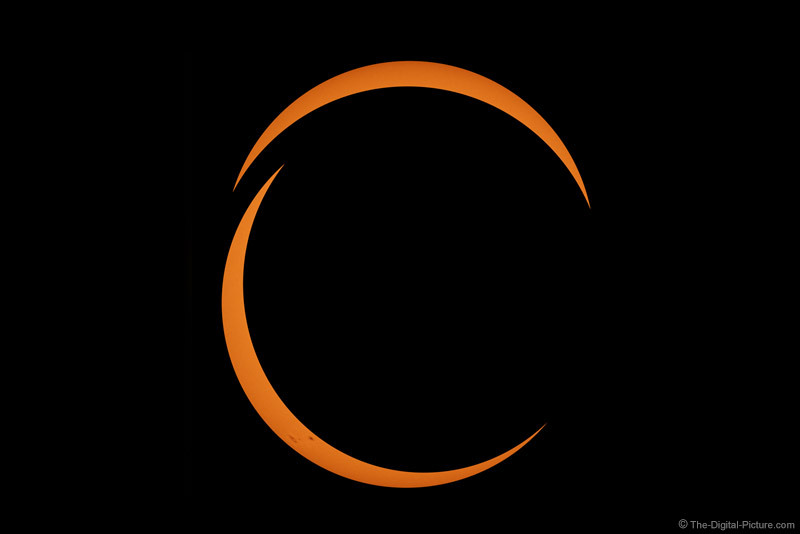 The site's circular-crescent logo seemed to be a good design fit for the solar eclipse. So, I made a transparency template to overlay a sun image captured during the eclipse. You likely spent a lot of time and effort to photograph the eclipse. While I will treasure some of the solar eclipse images I captured forever, there are a lot of other identically-captured images out there. But, there are not likely any that look like this one (you can be the judge of whether or not this uniqueness is fortunate). Have fun with the rewards of your efforts – spend some time being creative with the results. It is time to let some gear go in the name of fund raising. Check out the long list of my own used gear currently available including a couple of sweet Gitzo tripods, a Gitzo monopod, ball heads, a Surefire headlamp and much more. 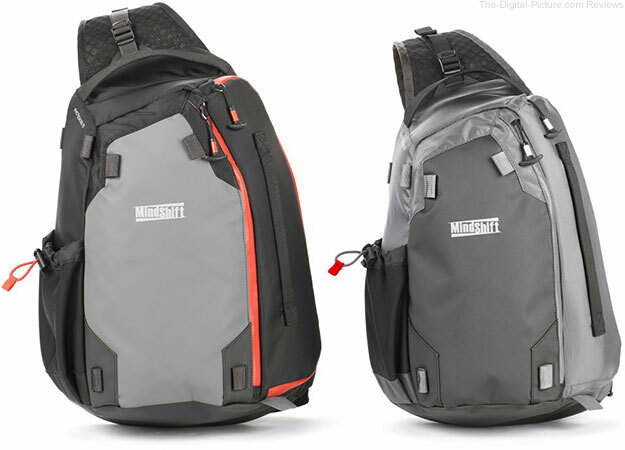 Our friends at MindShift Gear have let us know that their PhotoCross Sling Bags – most of which sold out within the first week of availability – are back in stock. And, as a bonus for using one of our links to make your purchase, you'll get free shipping and a free gift. The Canon Digital Learning Center has posted several articles covering the new gear announced early this morning. Update: Canon Japan also has an interesting interview with the team that created the EF 85mm f/1.4L IS USM. For preordering options, click here. Canon Japan has posted official sample pictures from the EOS M100 mirrorless camera. Canon has posted several new videos covering its newly announced products. See above/below for more information.